Present continuous- What are they doing? The students look at the pictures and write what are they doing. This downloadable worksheet is a great resource for high school students, elementary school students and kindergartners and nursery school students at Beginner (pre-A1), Elementary (A1), Pre-intermediate (A2) and Intermediate (B1) level. 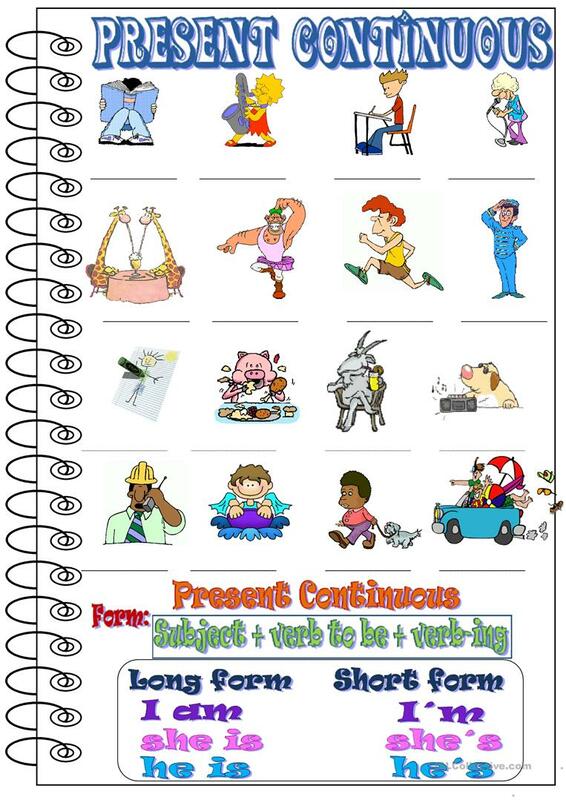 It is a useful material for consolidating Present continuous (progressive) tense in English, and can be used for enhancing your groups' Writing skills. carolinaaragn is from/lives in Spain and has been a member of iSLCollective since 2012-03-22 17:04:18. carolinaaragn last logged in on 2019-04-25 12:40:33, and has shared 51 resources on iSLCollective so far.